Contest Entry form here. Good luck! See fine print on entry form for restrictions and conditions. Built by Calistoga town founder Samuel Brannan. Warm and welcoming Brannan Cottage Inn is the last remaining 1860 resort cottage still in its original location, and has been lovingly restored. Its historic past blends seamlessly with modern amenities, and provides an ideal base for exploring Napa Valley wine country. Brannan Cottage Inn is located steps off Calistoga’s main street, Lincoln Avenue. The city’s downtown area, with an assortment of restaurants, wine tasting rooms, and shops, is just a few blocks’ walk away. Calistoga is famous for its hot mineral springs and mud baths, and there are a number of spas within walking distance for those interested in getting dirty. 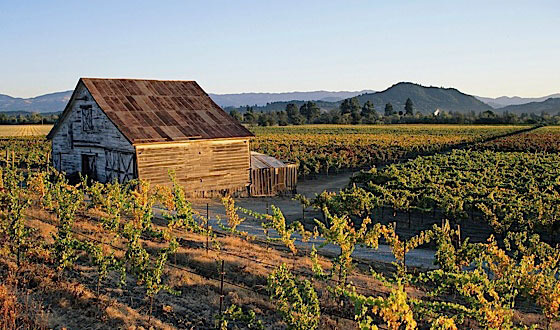 However, the dozens of nearby wineries tend to be the area’s most popular attractions. A rental car is a necessity, as there is no public transportation. This was one of the first buildings in Calistoga to be listed on the National Register of Historic Places. The property artfully blends historic charm with the expectations of modern travellers. Functioning Victorian décor coexists in rooms with colourful Art Deco wallpaper, USB ports, and speedy Wi-Fi. It’s quiet, regardless of the time of day, and guests can sit outside under an old Siberian elm tree, and feel like they have the property all to themselves. Staff are friendly and happy to help guests make the most of their time in Napa Valley wine country. Those interested in a famous Calistoga mud bath or massage can take advantage of a guest discount at a spa less than half a mile away. Guests are also welcome to use the hot springs pool and whirlpool at Brannan Cottage Inn’s sister property, UpValley Inn & Hot Springs, just a quarter of a mile away. Bike rentals can be arranged for visitors who prefer to explore on two wheels instead of four. Brannan Cottage Inn has six rooms. Four are located in the historic main cottage, and two are steps away in a second, smaller building, added to the property in the 1940s. Both Deluxe King rooms in the separate building have a private entrance, deck and gas fireplace. They also have a contemporary feel and unique colour scheme – room 5 has gold hues; room 6, silver. Historic rooms have a king or queen bed, and are accessed by the cottage’s wraparound porch. Rooms in the historic cottage have Victorian-style furnishings, but are cozy and comfortable, not stodgy. All rooms offer a long list of amenities including an in-room illy Espresso machine, mini fridge with freezer, Frette linens, robes, towels, a television with Netflix and Amazon Instant Video access, and bedside USB and plug sockets. Bathrooms have heated ceramic tile floors, marble accents, and rainfall shower heads. There is no restaurant on-site, but there are many Calistoga eateries within walking distance, and staff are happy to recommend their favourites, and help with reservations if necessary. A complimentary, locally sourced, continental breakfast is served daily from 8am to 10.30am, in the lobby. Selections include pastries, fresh fruit, made-to-order smoothies, coffee and tea. Double rooms from $259 (£200) year-round. Breakfast included. Free Wi-Fi and parking. Guests can also take advantage of the Calistoga Shuttle. It provides on-demand transportation service within Calistoga city limits. No advanced reservations are required. Passes are attached to guest room key rings. Families are welcome, but the property is best suited to adults. 109 Wappo Avenue, Calistoga, California 94515, United States. Beginning June 2017, Chloe Johnston Experiences will be traveling to both Napa and Sonoma Valleys for three exclusive wine getaways. Each itinerary highlights a different winery, two of which are closed to the public, and affords guests an opportunity to experience winemaking from a vintner’s vantage point. Along with intimate tours and tastings, guests will have a chance to wander around these beautiful properties and partake in different stages of production. There will also be ample time to explore the quaint towns where each of these vineyards are located and to enjoy a bit of rest and relaxation at your own pace. (We know that even the most avid wine enthusiasts need to give their palate a respite!) Discover hidden vineyards and tasting rooms, indulge in exquisite farm to table cuisine, and experience the great outdoors, wine country-style. Hot air balloon rides, kayaking, kite-flying, cycling and golfing are all on the agenda, as is lounging in a detoxifying cedar bath or unwinding with a luxurious aroma therapy full body massage. Your wish is our command. Join us for one or all three. Brannan Cottage Inn is proud to be the exclusive accommodation for these amazing excursions. Whether you’re a seasoned oenophile or just beginning to develop your nose, Chloe Johnston Experience’s Wine Country Uncorked is an adventure not to be missed. For detailed pricing and itineraries, please email us at info@chloejohnston.com. Join us for a memorable wine getaway featuring access to an elite, private vineyard, rarely open to outsiders. This coveted stretch of land and its glorious vines have been transformed into one of the most prolific vineyards in Napa and Sonoma, yet remains distinctly low-profile. Renowned for its terroir, this Knights Valley winery uses one acre for its own label while the remaining 15 are cultivated by select winemakers such as Luc Morlet. A fourth generation winemaker whose sensibilities reflect a long cultivated family philosophy of “passion, terroir and savior-faire,” Morlet is one of viticulture’s most exceptional talents. During your tour, you will have the chance to learn more about this exceptional talent—and, to sip on his award-winning, small batch cabernet sauvignon. You’ll also indulge in award-winning wines paired with delicious homemade food pulled from the vintner’s personal kitchen. Served in a spectacular setting with unforgettable views and impeccable wines, this memory will linger in your mind—and on your lips—for a lifetime. Our second wine experience takes you to a very special, organically farmed vineyard renowned for its luscious, award-winning Cabernet Sauvignon handcrafted with the ultimate expertise and care by legendary winemaker, Thomas Rivers Brown. Since its inaugural vintage, this Dry Creek Valley winery has consistently received high accolades from The Wine Advocate, Wine Spectator and Vinous Media. Elevated 500 feet above the Russian River and overflowing with flora, fauna and amazing wine, this is one of the region’s prettiest and ambitious vineyards, typically not showcased the way our guests will have the opportunity to experience. The highlight of your journey delivers you to a 75-acre vineyard heavily wooded with Spanish Oaks, Giant Coastal Redwoods and Sequoias. Each of your five senses will come to life as you breath in the land’s rich aromas, and natural and manmade beauty. Take in all its outdoor and indoor beauty, and learn every detail of the elaborate vinification process. Together, we’ll enjoy a leisurely tour of its meticulous and lush property, discovering and discussing every detail of the elaborate vinification process and the region’s unique climate. Afterward, our hosts will lead us to where we’ll share an organic, family-style meal complete with the winery’s legendary heirloom tomatoes, and, of course, bottles—a few named after one of the owner’s famed Jersey Boys Broadway play. During your visit, you’ll indulge in a once-in-a-lifetime experience, not typically open to the public, joining the harvesting team in one of the most crucial steps in the winemaking process. beauty and wellness treatments, outdoor adventure, arts and culture, to-die-for cuisine, incredible views, and, of course, delectable wines. While visiting our featured winery, you and your fellow travelers will experience both the winemakers’, and owners’, very special vision for the terroir and wine. From its exceptional collection of art, to its inviting architecture, and elegant, full-bodied wines, this extraordinary destination seamlessly captures old world tradition while blazing its future vision—quite magical. Exploring Napa Valley for the first time can be daunting. Our guests Josh & Andrew skipped renting a car, leaving the driving to the experts, and had an amazing time. Here’s how they did it. We recently decided to check off a few items of our mutual bucket lists and travel to Napa Valley the week before Thanksgiving 2015. Little did we know, but that would turn out to be a perfect week – mostly in regards to weather. 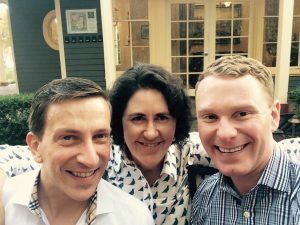 However, a few other things also contributed in making our trip perfect … the hospitality director, Eden, at Brannan Cottage Inn … the friendly town of Calistoga … and, of course, the WINE! Now, I am borderline OCD and I worried incessantly over every little detail of our trip – but I never once worried that we would need a car … because I genuinely felt I could trust someone who lives in the valley. And Eden was right … you really don’t need a car when you visit the valley! We were able to utilize a whole host of various modes of transportation during our visit. From Uber to the Tesla/Luxury Electric Wine Tours to the free, on-demand Calistoga Shuttle to a Calistoga taxi to – wait for it – even old fashioned walking! So, why waste money on renting a car, waste time on driving and sitting in traffic (we used that time to enjoy the scenery!) and waste even more money on gas? 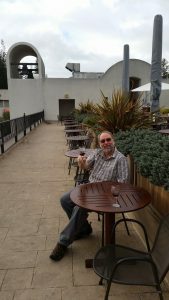 So, I am glad that while planning our trip to the Napa Valley region – down to the most minute detail, mind you – I listened to a seasoned veteran when she said, “You don’t need a car”! Car Free Resources for a Greener way to Visit Napa Valley. 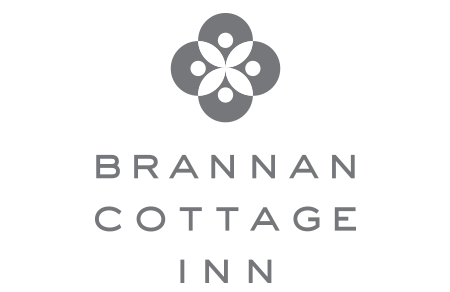 Sign up for Brannan Cottage Inn’s monthly newsletter to stay on top of exclusive special offers. “Rose and I would like to thank the Chamber for the wonderful time we had visiting Calistoga. The room and the hospitality we received at the Brannan Cottage Inn were outstanding! Eden was the perfect hostess. The Inn is perfectly located. It’s an easy walk to several winery tasting rooms, shops and restaurants. It’s an ideal place to set up a base camp when visiting for several days. The atmosphere was very quiet and relaxing. Our private tour and tasting at Twomey was excellent. Our hostess Annemarie was very knowledgeable and friendly. It was a delight touring the grounds and barrel room with her. The wines we tasted were outstanding! We were pleasantly surprised how friendly and helpful the staff were at all of the tasting rooms. We thoroughly enjoyed ourselves at each and every winery. One individual particularly stood out, Jim Kozier at the Laura Michael Wines tasting room. His knowledge of wine, history of the valley and the industry was second to none. It was a real pleasure listening to him talk. You’re very welcome, and thank you Len and Rose! We look forward to welcoming you back soon. What’s that street name again? You may notice, when you turn onto our street, that some of the street signs call it Wappo Avenue, while others call it Wapoo. Your GPS may find one spelling right away and come up blank on the other. It’s one of those only-in-Calistoga stories. The area’s first inhabitants were the Mishewal-Wappo, a Native American tribe. Arriving on the scene in the 19th century, Calistoga founder Sam Brannan named the street after the tribe, or so he thought, but as with the Saratoga of California, it didn’t come out quite right–and Wapoo it was, until 2003. That’s when local high school students and many townspeople joined current Wappo tribe members, asking the City Council to get the spelling right as a matter of respect for the first residents. Some members of the business community supported the concept but worried about the far-reaching practical difficulties a street name change would cause. In response, the City Council officially changed the street’s name to Wappo Avenue, and ordered three of the six street signs changed to the new name while the other three kept the old spelling. This ingenious solution has been in place ever since.